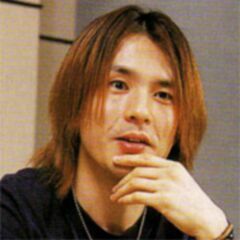 Takahito Eguchi (江口 貴勅) is a composer, arranger, sound producer and keyboardist. He worked for Square Enix from 1995 to 2003 and composed several games with Noriko Matsueda, whom he first met at the Conservatoire and married in 2009. He left Square Enix to become a freelancer after assisting Matsueda in scoring Final Fantasy X-2. He is currently employed by the sound production company Rebirth.